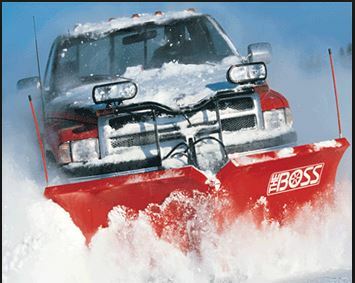 We are the best snow plowing and snow removal service in Elkhart, IN and Michiana. When we were kids, we loved a good snow storm. We got to miss a day of school and we got to go play outside. We got to make snowmen, have snowball fights, and go sledding. As adults, the thought of a snow storm is not as exciting. It means that we have to fight traffic driving slow, trying to get to work in one piece. Before we even leave for the day, we need to shovel our cars out and shovel the driveway. There is nothing fun about a snow storm when you are an adult. The best way to make the most out of a snow storm is to hire Elkhart Snow Removal, professionals in snow plowing services. There are a few benefits of hiring a snow removal company rather than doing it yourself. Trying to drive down the driveway without clearing it can be dangerous. You can get stuck or you can slide down into oncoming traffic. Trying to go in and out of the house without clearing off the stairways and walkways is also dangerous. With one simple misstep, you can slip and fall, causing a serious injury. When you use Elkhart Snow Removal Services, you can be sure that you will be safe when you step outside. We will clear and salt your stairs and walkways, making walking outside safe. Because you own personal safety and the safety of your family is so important, it is a good idea to sign a contract with Elkhart Snow Removal. During and after a snow storm, it is very cold outside. If you need to shovel the snow from your driveway yourself, you can end up spending up to an hour outside in the freezing cold. For most, this can be a very miserable hour. When you hire Elkhart Snow Removal to handle the job, you can stay inside where it is warm, while your driveway is being plowed. Shoveling snow can be a very difficult job. Snow is very heavy, therefore, shoveling it can be a very physically exhausting job. Each year, people who have heart conditions end up in the hospital after shoveling snow. People who never knew that had a heart condition find out after ending up in the hospital due to shoveling snow. Even if you use a snow blower, it can still be a hard job. When you hire a company who specializes in snow plowing services, you can leave the hard work up to them. If you have a long driveway or a very steep one, it can make shoveling the snow that much more difficult. Shoveling a long driveway can take hours. Snow blowing a steep driveway can be difficult and very exhausting. When you hire a snow removal service, you can stay inside while they do all of the hard work. When you sign snow plowing contracts with Elkhart Snow Removal, you can be sure that someone will be at your home after each snowfall to remove the snow from your driveway and walkway. This makes things very convenient for you. There is no need to contract a snow removal service each time it snows. The contact that you sign will guarantee that someone will be there to remove the snow. Most homeowners do not have the equipment necessary to remove the snow from their driveways and walkways quickly. Most homeowners own just a few shovels. While these are effective in removing the snow, it can take a long time. When you sign a contract with Elkhart Snow Removal, you can be sure that we will have all of the snow removal equipment necessary to quickly remove the snow quickly. We will come to your home with a plow, allowing them to clear your driveway quickly. We will also come to your home with snow blowers. This will allow us to clear walkways quickly. Finally, if you need to have your stairs cleared, we will have a few shovels. Before they leave your home, our snow removal equipment will have cleared out all of the snow, making leaving the home and driving to work easy. If there is a snow storm the night before you have a big meeting at work, you would need to wake up early and shovel your way out of the driveway. This can set your entire morning routine back. When you sign a snow plowing contract with Elkhart Snow Removal, you don't need to worry about getting up early. By the time you are ready to leave, your driveway will be clear and ready for you to leave. Many homeowners choose not to use a snow plowing service because they do not want to pay the cost of their services. Many companies who offer snow plowing services charge a great deal of money. Some raise their rates when there are back to back storms and they are struggling to keep up with all of their contracts. This is not the case with Elkhart Snow Removal. We have very competitive snow plowing prices, making signing a contract with them easy to afford. Elkart Snow Removal cares for each client on their contract list, and would not hike up the price of our services due to demand. A snow storm can put a huge damper on your day. While your children are outside enjoying the snow, you are in the yard shoveling, becoming exhausted and likely freezing. The best thing that you can do to make snow storms less troublesome is to sign a contract with Elkhart Snow Removal. 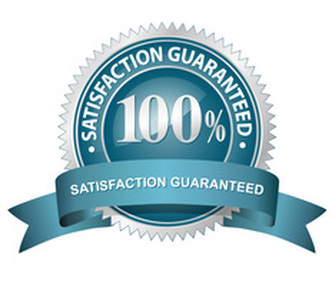 Not only will we guarantee to be at your home cleaning up after every snow storm, you won't break the bank to pay us. Between our commitment to their clients and their competitive rates, you sit back during the next big storm without a care in the world. There is nothing better than having the peace of mind that while you are warm and comfortable in your bed, someone is outside removing the snow. Winter is a wonderful time of year, and although driving in the snow is not really a favorite of most people, what is even worse is having to get up particularly early and shovel! No matter what type of property you own, having a snow management plan, as well as a team of dedicated service people to carry out said plan, are the only ways to navigate the winter. Residential customers should always bear in mind that one person, and one plow, can only do so many jobs at once. In particularly heavy snowfall, your snowplowing company might either be stuck or inundated with immediate requests. It is good, no matter how many companies and people we count on to handle matters for us, to always have a back-up plan in place in case our hired help cannot be there exactly when we need them. The thing every person needs on hand is a large bucket, and depending on the size of your property, even a large garbage can, full of salt and sand. This is the mixture that your plow company will spread on your driveway. For residential customers with shorter driveways, a clever trick when snowfall is expected less than 6 inches is to lay out tarps along your driveway. You can anchor the tarps with rocks and place sticks in the holes so you know where the beginning of each tarp is. Clearing your driveway in a case like this, should you have to leave your home before you think a plow will arrive, is pretty easy. All you do is have someone help you and lift the tarp, and quickly drag it to the side of the driveway where you wish to dump the accumulated snow. This will not totally clear your driveway, but it will help you get out in the morning and clear it enough until the plow arrives. Purchasing a snowblower is a great investment if you are a property owner. It is always a good idea to have one on hand. Depending on the size of your property and how much snow you get, there are small electric snowblowers that can be useful on patios, walkways, and short driveways in light snow. There are also electric shovels if you have interest in going outside every few hours in a snowstorm, as these shovels cannot handle much snow but are convenient nonetheless. If you buy a larger, gas-powered snowblower, and this is your first snowblower purchase, it is imperative you familiarize yourself with the owner's manual before using it. It is also a good idea to have an old broom or large snow brush on hand to clean off the snow blower blades in heavy snow. Of course, every house should have the invaluable shovel on hand, as well! All of these steps are those that should be taken in conjunction with hiring a snow plow company to manage your property. You can help yourself with the purchase of these items, but in the end, nothing beats the feeling you experience when the snowplow truck arrives! If you don't want to purchase any items and want a full-service outfit to manage your entire property, that is fine, but at the very least have some rock salt to throw down as a safety measure until the plow arrives. Winter is a beautiful season, and by exercising some caution and taking precautionary steps, you can fully enjoy the snow in all its splendor! Kids love snowstorms, because then there is lots of nice snow for them to play in; and they certainly enjoy the days off of school during such times. But adults likely find the snow much more cumbersome to deal with; because it is hard to drive in traffic when there is a lot of snow; and they want to get to their destination yet in a decent time and safely. But snow does slow folks down. But even before they can get their car on the road to start driving in the hazardous snowy conditions, the driveway must be cleared out. The car must be dug out and cleaned off. And treacherous ice patches in the driveway and on the steps and walkway must be addressed. We know you love to use your ATV in the winter, but they can get stuck in all that heavy snow. Well, we can come to the rescue to get you unstuck. You will be glad when we arrive to do so. We are proud to offer on site snow relocation as well as off site snow relocation to make sure that your property is really up to safety standards and can be used efficiently in the winter months.